Since September began to roll I know I had it coming. From the time when I thought up of the Author of the Month blog feature I know I have to do it. 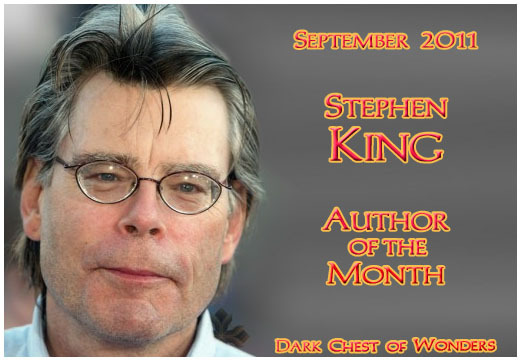 And so I will not beat around the bush as I, with no fanfare whatsoever, announce September’s Author of the Month is no other than the modern master of horror, Stephen King. In case you’re not informed of it yet, today, September 21, 2011, is King’s birthday and he’s now 64 years old. The remarkable thing it seems is that age haven’t slowed him down yet and he’s still in his game — he has just released his newest e-book offering Mile 81, a smattering of short stories in magazines here and there, and this coming fall will see the release of his new novel 11/22/63 plus on top of that he collaborated with John Mellencamp for the chilling musical Ghost Brothers of Darkland County to be shown at Alliance theater in the US on 2012. But it doesn’t just stop from there as he’ll whet the appetites of fans of the Dark Tower series as he brings Wind Through the Key Hole next year and God knows what else he has up his sleeves. For September I’m planning to read his sophomore smash hit ‘Salem’s Lot. 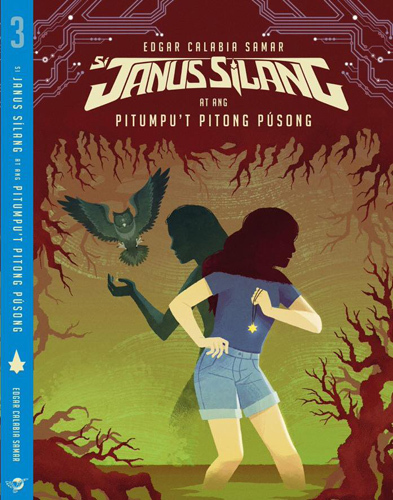 I apologize to some of my friends who I had informed a few months back that I plan to read The Stand prompted no less by the recent news that David Yates, the director of the later installments of the Harry Potter movie franchise, is in talks with Warner Brothers for a possible adaptation of King’s apocalyptic novel on the big screen. However, something came up and as fate would have it I found a copy of ‘Salem’s Lot in Booksale and being the book published after his debut, Carrie, I think I do have to prioritize its reading. From the few snatches of plot overview that I read back then on my research concerning Stephen King and his bibliography, this novel is his take on the question: what if vampires come to invade us in these modern times? From there I have no clue from where this will eventually lead me, and though having read the novel’s prequel, Jerusalem’s Lot and its coda One for the Road in his short story collection, Night Shift, I hope it will not spoil the experience of reading ‘Salem’s Lot for the first time. Well, it’s getting late into the night here as the clock approaches midnight; wolves are distantly howling and bats flap their dark wings as they crowd without my window. I stare outside and see the glare of the evil eye etched across the blood-red clouds. So with a cross around my neck, garlic laced on my body, and a stake and a mallet in hand I end this post. My warm regards and happy reading!